An unmarried 55-year-old woman who got pregnant through in-vitro fertilization has become what experts believe is the nation's oldest mom of quadruplets. The three tiny girls and one boy were delivered Saturday by Caesarean section at Mary Birch Hospital for Women. 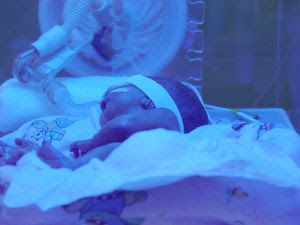 Three of the babies, born two months premature after 27 weeks gestation, were in intensive care yesterday and one was in critical condition. At the woman's request, hospital spokeswoman Eileen Cornish refused to release her name or any information about the quads. Originally posted on April 24, 1998.